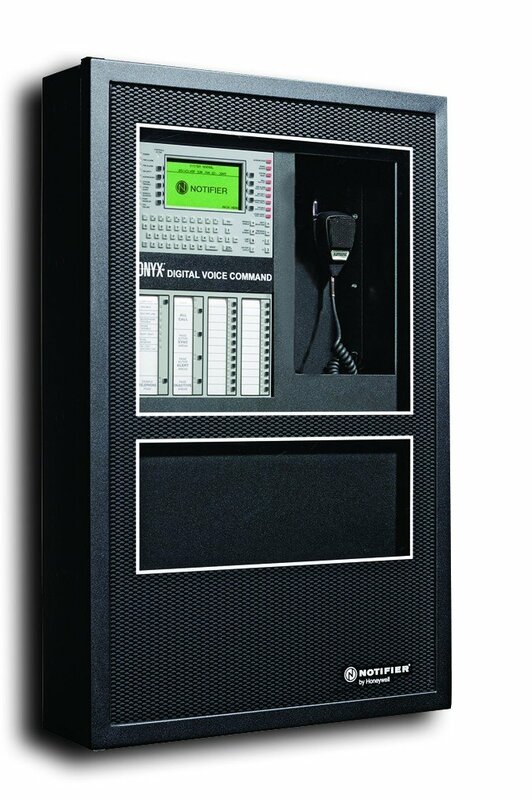 Digtial Voice Command (DVC) is the heart of an integrated, full-featured Audio Command Center. The DVC combines the capabilities of a powerful digital audio processor, an event driven audio message generator, and a router. Designed for use with Digital Audio Loop (DAL) devices such as DAA2 series digital amplifiers, each DVC supports a dedicated audio network with up to eight channels of audio and control and supervision for up to 32 DAL devices. The DVC may be networked with AFP-2800 Fire Alarm Control Panels (FACP) via NOTI•FIRE•NET or integrated as part of an overall mass notification system via an ONYXWorks workstation.